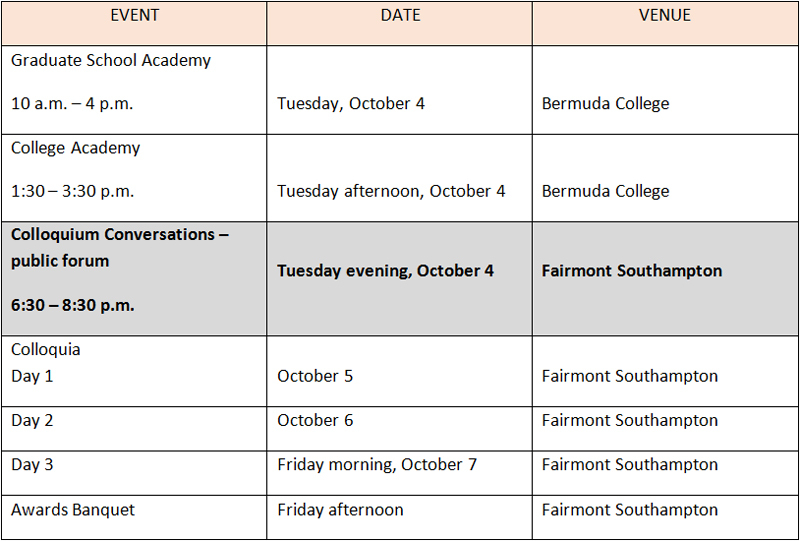 An international colloquium comprising education pioneers, practitioners, policy makers, college students, and scholastic funders will be held in Bermuda next month, as Bermuda College partners with the University of Wisconsin Madison and the Ministry of Education to host the fifth annual International Colloquium on Black Males in Education. “This unique experience will feature provocative dialogue examining the wide range of educational issues affecting Black males,” the College said. “The week-long event is expected to provide for the collective sharing of knowledge, perspectives and the experiences of those in the educational system. 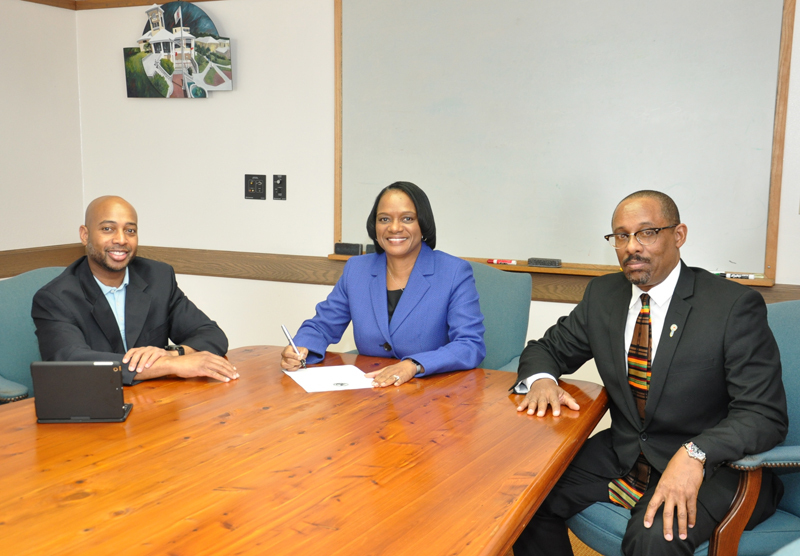 “It is also expected to provide a platform to educate participants about global research strategies that inform education policies and programmes here in Bermuda and around the world. “The theme for this year’s Colloquium, scheduled for October 4 – 7, is ‘Educational Transitions and Life Trajectories: Bridging Pathways to Success for Black Males’, examining in particular, educational issues across the educational spectrum – from pre-kindergarten through university – affecting the experiences of Black males. Dr. Lou Matthews, Director of Educational Standards and Accountability at the Ministry of Education, and Co-chair of the Local Planning Committee says expectations are high for solutions-centred discussion. 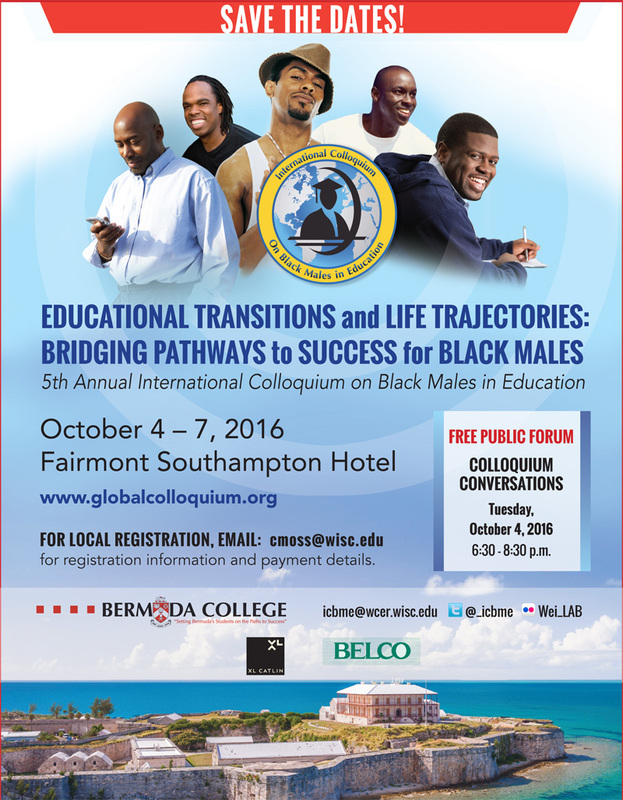 “The Black Male Colloquium comes at the time where we are collectively concerned about the life outcomes and quality for Black males in Bermuda. We hope it will prick and raise our national consciousness in ways that lead to sustained action, inspiration and hope,” said Dr Matthews. Keynote speakers for the event include Bermudian and Bermuda College alumnus Dr. Ty-Ron Douglas, Assistant Professor in the Department of Educational Leadership and Policy Analysis at the University of Missouri. Born and raised in Bermuda, Dr. Douglas’ work explores the intersections between identity, community space [eg: barbershops, sports fields & churches], and the socio-cultural foundations of leadership and education. He has been dubbed the “border crossing” expert, and will be launching his latest book at the Colloquium. The College said, “Also featured are: Dr. Shaun Harper, Professor of Education and Founder the Center for the Study of Race and Equity in Education at the University of Pennsylvania. Dr. Harper’s research has been cited in over 4,000 publications. “His twelve books include, “Advancing Black Male Student Success from Preschool through Ph.D”. He is currently leading RISE for Boys and Men of Colour, a three-year interdisciplinary project that aims to advance research that will improve the lives, experiences, and outcomes of Asian Americans, Blacks, Latinos, and Native Americans. “He was appointed to President Barack Obama’s My Brother’s Keeper advisory council in 2015, and recognized in Education Week as one of the 12 most influential professors in the field of education in 2016; Dr. Joseph L. White, Professor Emeritus of Psychology and Psychiatry at the University of California, Irvine and “godfather” of the field of Black Psychology. “While his main field of study was clinical psychology, Dr. White focused a lot of his attention on aiding and supporting disadvantaged students of colour in their path to acquire knowledge by developing curriculum that caters to the needs of students of colour. “Dr. White’s 1970 article “Toward a Black Psychology,” published in Ebony Magazine, was a seminal document in the formation of African American Psychology as a professional field and the rise of ethnic and cultural psychology; and Dr. Anderson J. Franklin, Professor of Psychology and Education in the Department of Counselling, Developmental and Educational Psychology at Boston College Lynch School of Education and Professor Emeritus of Psychology from The Graduate School of The City University of New York. Local educators and researchers, including Dr. Matthews, Dr. Llew Simmons, Mr. Cordell Riley and others will also be presenting during the Colloquium. Will there be an opportunity to actually speak with young black men, both those who consider themselves to have been successful along with those who don’t consider themselves to have been successful in the education systems? I’ll bet there will be much to learn from their perspectives in regard to their direct experiences? Yes, there will certainly be opportunities to speak with and hear from young black men at the Colloquium – from our own streets as well as from young men from overseas who will be participating. The aim is to reach young men from every walk of life and to use their experiences and those of other black men to chart strategies and policies that will institutionalise and increase their opportunities for success from k-12 and beyond. 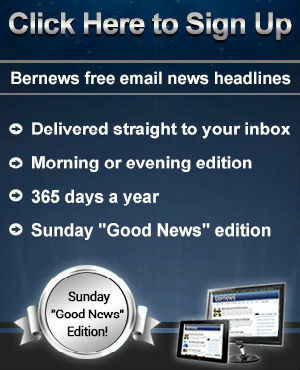 Bermuda is a great case study. We definitely need to understand mor about this issue. I hope you publish lots of related stories.